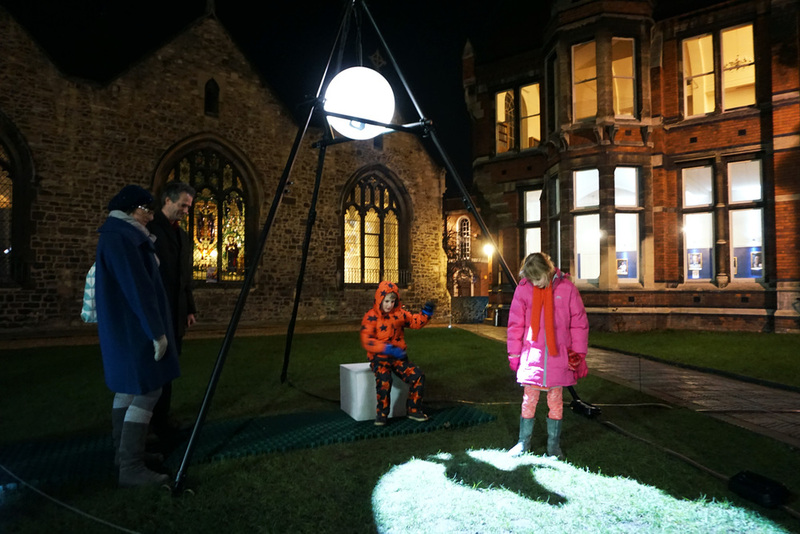 The Moon Seat is an art project inspired by the folk tales and myths surrounding the Moon. 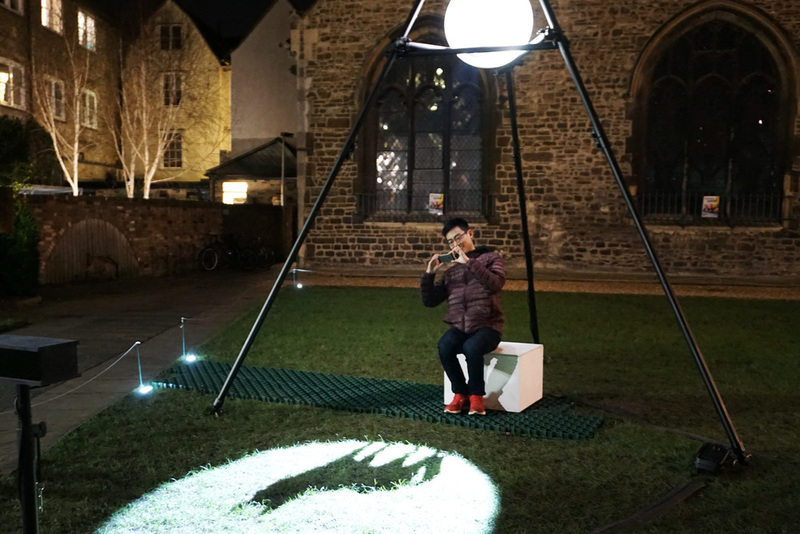 Created as an interactive light installation, The Moon Seat plays to our inner child whilst simultaneously courting long forgotten childhood fears. Harnessing the ‘magical’ power of the full moon participant’s identities were altered in an unexpected encounter with their own shadow. Turning the audience into instigators, they breathed life back into the myth bending light with their bodies to build fictions from out of the darkness, reawakening in us once more our desire to wonder what lies beyond, where the light no longer sees. 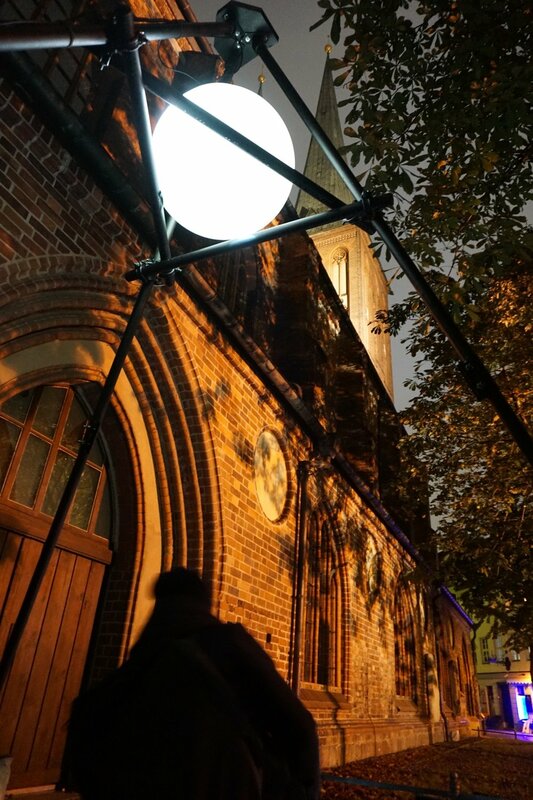 The installation was first publicly shown at the e-Luminate Light festival in Cambridge, UK, located before the entrance to the prestigious Cambridge Union Society. 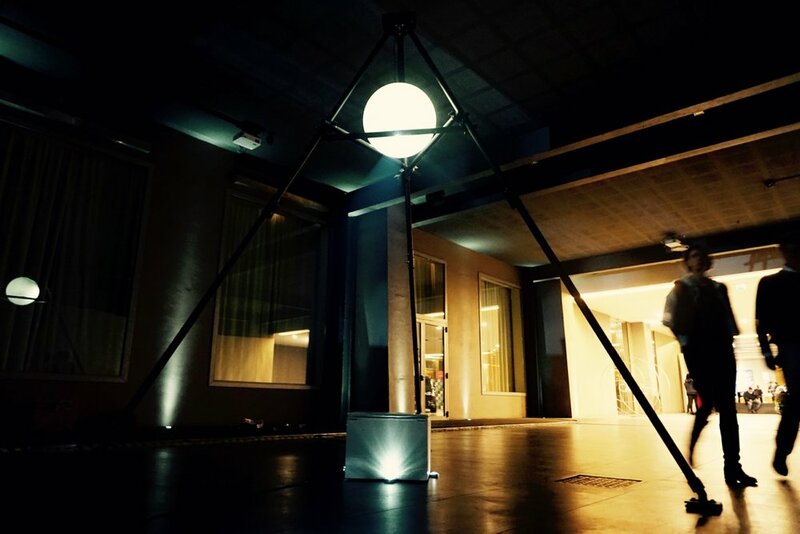 The Moon Seat has since been exhibited in a gallery in London, in Berlin as part of the long running Festival of Lights and a feature installation at Digital Design Days in Milan, part of the renowned OFFF festivals. Audiences initiated their encounter by sitting within the installation wherupon a pool of 'moonlight' would grow before their feet revealing their own shadow. 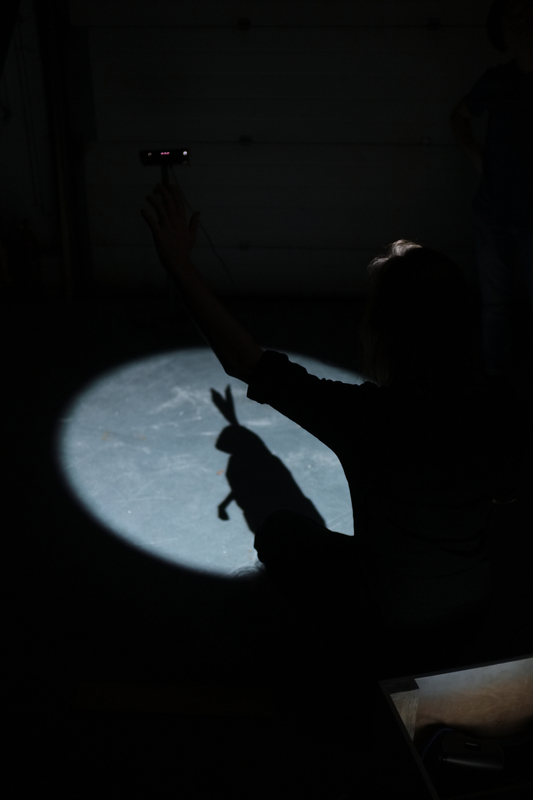 Everything appeared as normal until a few seconds later their shadow transformed into an animal. The 'shape-shifted' shadow mimicked the sitter as they made movements with their arms and body, but imbued with their own character, each animal would deviate and behave in it’s own inimitable way, surprising the sitter, encouraging them to explore more. 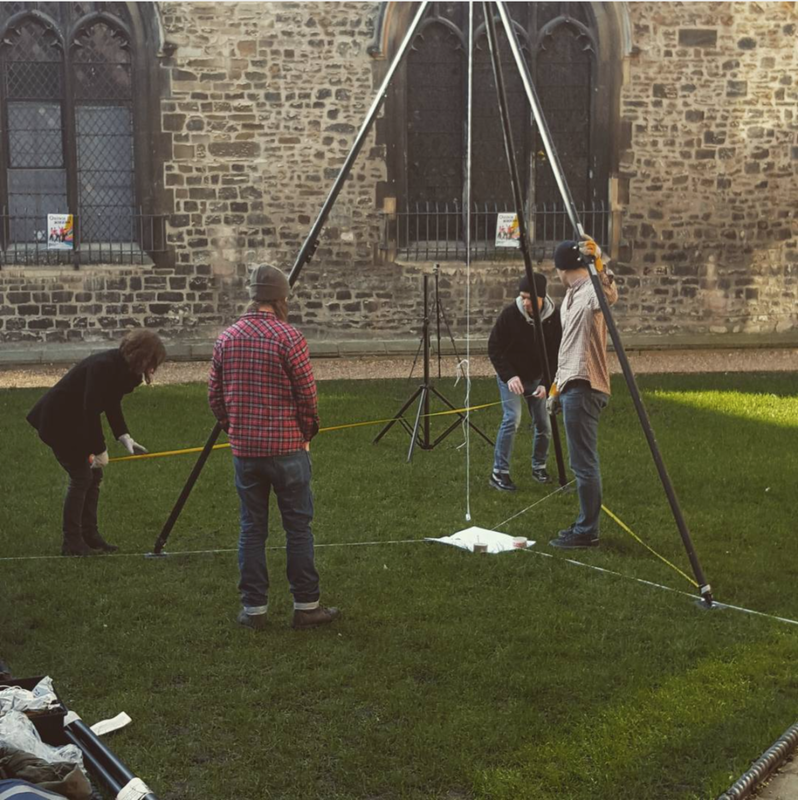 An ethereal generative sound piece played throughout the experience, reacting to the users’ movements th unique sounds enhanced each personal encounter. HELLO@ALEX-JENKINS.CO.UK +44 (0) 777 58 100 65 ©2004-2017 ALEXANDER JENKINS OR THE RESPECTIVE COMPANIES NAMED WITHIN.